In close knit workgroups or departments, the need for a shared, efficient, productive and reliable black and white desktop printer is an important requirement in creating everyday business documents and communications. 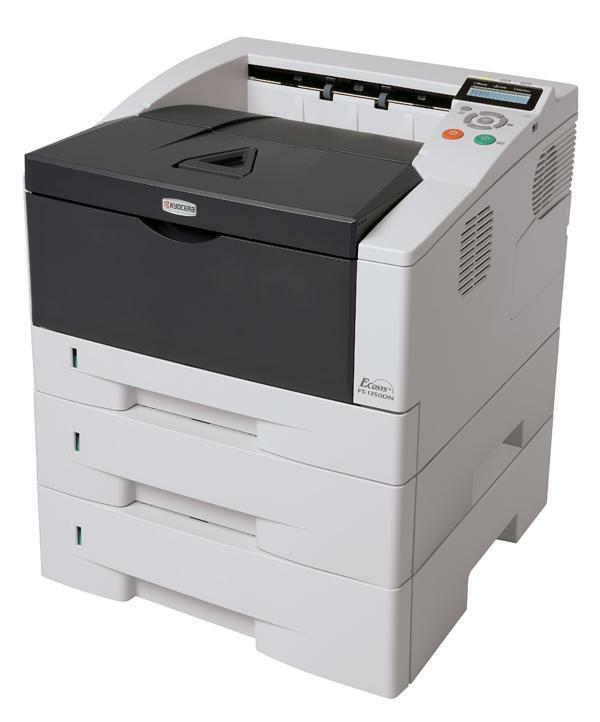 The FS-1370DN ECOSYS® Printer, a 37 page per minute desktop laser printer provides fast paper saving 2 sided output at an economical price, and also delivering Kyocera’s low Total Cost of Ownership. With long life printing supplies, low maintenance requirements, and 300 sheet paper supply, the FS-1370DN can also be configured with 2 additional 250 sheet paper feeders for a maximum of 800 sheets from 4 paper sources to minimize paper refilling and grow as business requirements expand. The integrated network capability lets you share the printer with easy to use print drivers and is compatible with Kyocera's suite of management utilities that will make supporting multiple network printers simple and quick.